Wouldn't it be loverly if one of the greatest musicals of all time played (pretty close) to the street where you live? With a little bit of luck, that's about to happen! Bartlett Sher's Tony-nominated revival of Lerner & Loewe's My Fair Lady will launch a national tour in fall 2019. In addition to its 10 Tony Award nods, including Best Revival of a Musical and Best Direction of a Musical, the Lincoln Center Theater production is nominated for three Broadway.com Audience Choice Awards. Tour cities and casting will be announced at a later date. Adapted from George Bernard Shaw’s play and Gabriel Pascal’s motion picture Pygmalion, My Fair Lady, with a book and lyrics by Alan Jay Lerner and music by Frederick Loewe, premiered on Broadway on March 15, 1956. The legendary original production won six Tony Awards including Best Musical and ran for 2,717 performances making it, at the time, the longest-running musical in Broadway history. 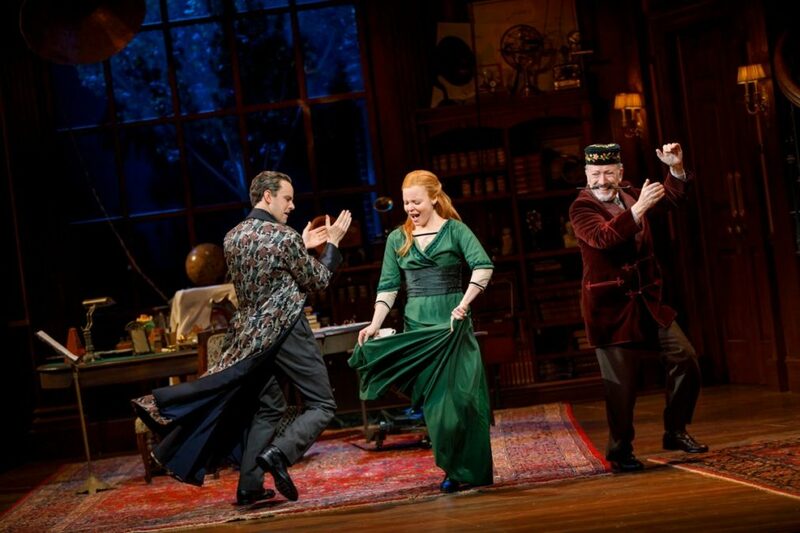 My Fair Lady stars Tony nominee Lauren Ambrose as Eliza Doolittle, Tony nominee Harry Hadden-Paton making his New York stage debut as Henry Higgins, two-time Tony winner Norbert Leo Butz as Alfred P. Doolittle, Tony winner Diana Rigg as Mrs. Higgins, Allan Corduner as Colonel Pickering, Linda Mugleston as Mrs. Pearce, Jordan Donica as Freddy Eynsford-Hill and Manu Narayan as Zoltan Karpathy. The show boasts a score that contains such now-classic songs as “I Could Have Danced All Night,” “Get Me to the Church on Time,” “Wouldn’t It Be Loverly,” “On the Street Where You Live,” “The Rain in Spain,” and “I’ve Grown Accustomed to Her Face.” My Fair Lady features choreography by Christopher Gattelli, scenic design by Michael Yeargan, costume design by Catherine Zuber, lighting design by Donald Holder and sound design by Marc Salzberg.